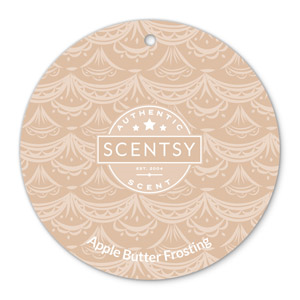 Let this heartwarming medley of baked cinnamon-spiced apples and decadent vanilla buttercream be the icing that finishes your holiday décor. Shop here and have your products delivered to your home or office with no waiting. 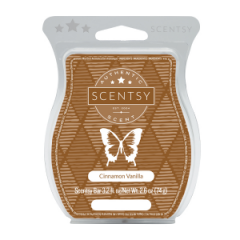 A fantasy in cinnamon spiced apple, the Apple Butter Frosting Scentsy Bar is capped with the fluffiest drift of vanilla infused topping, sweet, spicy and silky apple compote. This comforting combination of slow cooked fruits from the orchard seasoned perfectly with a little fire from the cinnamon stick and a little sophistication from the vanilla bean. 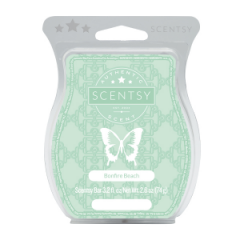 Buttery notes add a well rounded richness, the smell like a heartfelt embrace and invitation to stay for supper. Warm and comfortable as the bright leaves swirl and the cooler winds begin to blow, Apple Butter Frosting is the Scentsy Bar you crave, melting into a fragrance that recreates in aromas the sense of the amazing colors of a fall sunset paint the ending to a busy fall day.